HAPPY NEW YEAR….YEAR OF THE TIGER! Well, if you thought you missed the New Year, think again. 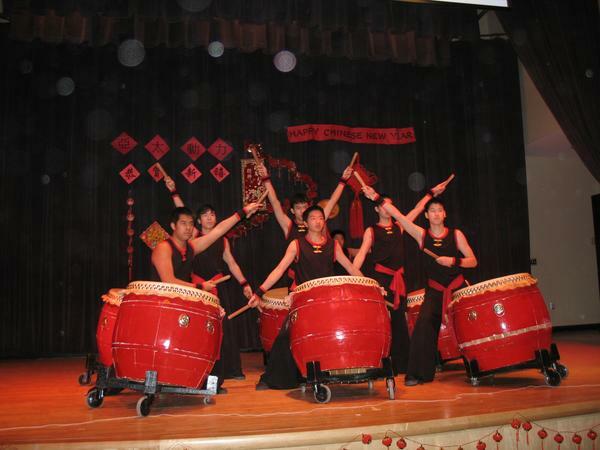 Marvellously, wonderously, 24 teens from the Chinese Folk Arts Workshop will be presenting their artistic heritage at the Oakridge School, Feb. 16 at 11 am. 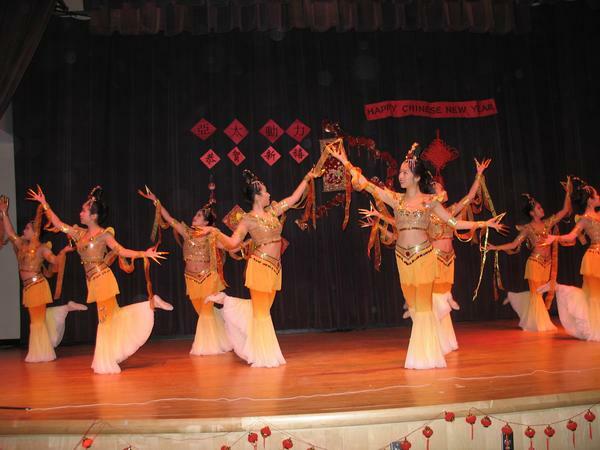 This performance is collaborative, but sponsored in large portion by the Taipei (That’s the capitol of Taiwan) Economic and Cultural Council and the Library is working with the Recreation Dept. and Eastern Bank as well. I am so excited about this cultural opportunity, especially for teens. The Chinese New Year celebration is sooooooo much more fun than the January 1 plodding party, I think. This one goes on for 15 days and is filled with family, food and fun. Well, I am onto finding books that relate to the Asian teen view….wish me luck. Look for flyers/articles about the coming event. Well, I don’t know if you do YouTube but this year’s winners of the “I am what I learn” videos are quite intriguing. Hopefully, I’ll be doing some of my own videos for book reviews…are you game? I’m looking for wanna be “I wanna be a star book teen reviewer”. Does that sound sappy? I think it sounds like potential. Of course, no one will be filmed without their knowledge….. I am fiddling with the blog and just wanted all to know…I’ll take suggestions. Please bear with me as I experiment and flex the tech capabilities I was NOT born with. Is this fun or what? Didn’t read this one, it’s as spooky as it looks. FAVORITES OF THE PAST YEAR…..and YOU? Everyone does a ‘Best of ….’ so I am going to scrap together just what is floating at the top of my thought ocean. First of all, I want to thank Vicky Titcomb of Titcomb’s Bookshop for being one of the best author/book promoters ever! Titcomb’s has been instrumentable in bringing the bestest, funnest and popularest (Yes, I make words up.) authors to town this year. One book she recommended was If I Stay by Gayle Forman, a very good ‘live or go into the light’ book about a girl who is involved in a horrific car crash and hangs suspended in a coma as the world around continues. Her dialogue with herself brings you a picture of family, choice and what is important in individual lives. Good call, Vicky. Of course, last read sometimes gets the biggest promotion but I can’t help but be so surprised and over-powered by the sequel to the Hunger Games, Suzanne Collins Catching Fire. I’ve done my written bit on that one and here the sequel – my opinion – is EVEN BETTER THAN THE FIRST book. Perhaps I’ll just recommend another author – Sarah Zarr – Story of a Girl, Sweethearts,Once Was Lost….In the vein of Sarah Dessen (The ‘Sarah Factor’? ), I see her as an author one follows, wanting to read each new book that comes out. Pop Culture? Well, earlier this year I read my first ‘Clique’ series book and was surprised how fun it was. It’s NOT rocket science, for sure, but the books are funny and have hidden values that readers, I think, pick up on. Anyway, good book candy. For guys I still think Gordon Korman is one of the tops for reads. John Feinstein keeps turning out those mysteries – oh, but I HAVEN”T read one of those yet, so I shouldn’t say one way or another – but he SEEMS to be on the right track. And as for non-fiction, Three Cups of Tea is an insight into the world we knew little about and it is a positive statement of how one person ‘chains’ with others to bring good things into the world. Haven’t read it? You are old enough, you know. My nephew is headed to Afghanistan and finding out about Afghanistan – warts, wonders and all – is a mission for the coming months. I have to say a favorite event involved MITALI PERKINS, an incredible author who lives up the road in Cambridge. She was here to speak to Sandwich High students and also came to a Mother/Daughter Indian dinner at the library. The Secret Keeper by Mitali is a powerful book on the mores, values and challenges faced in a culture much more grounded in Tradition with a capital T. Mitali’s visit was part of Sandwich Reads Together, one of the best collaborative literary menus you could ask for for a community. As the new year/decade starts out the books are piling up. It’s time to download titles as another benefit of the technological benefits of modern library services. This year I hope that the stories, humor, adventures, personal insights, mysteries, whatever, that come to you through books and their kin are fantastic. Someone has said, “Every book it’s reader….” so if you are reading, don’t be put off by someone else’s ‘You’re reading THAT?’ commment; don’t be worried about reading a favorite book over and over (It’s your choice that comfort book.) and pass on those reads to friends. Friends are powerful things. And, just a little addendum, we’ll be getting Teen Vogue in this new year, so for you fashionistas that may work. Any recommendations for other magazines related to teen interest, please pass on to me, your basic young adult librarian who’d love to do the best she can for the locals and beyond. Onward and upward…..the next big Twilight? You tell me….